STELLA FI SPIN REEL WINS AFTA AWARD! Home » FEATURED » STELLA FI SPIN REEL WINS AFTA AWARD! Shimano’s new Stella 2500FI spin reel was judged the best new reel at the Australian Fishing Trade Association (AFTA) show held at the Gold Coast back in June. Micromodule Gear Technology delivers a new level of smoothness and reduced vibration for easier winding and better contact with the lure being retrieved. This is brought about by superior gear design and alignment, yet with the same strength and durability we’ve come to expect from Stellas. S-Direct Gear means more precise gear component alignment, reducing movement of critical parts within the reel. Coreprotect involves a sealed bail arm line roller, rotor and roller clutch, so the Stella 2500FI can be fished in a variety of environments without being affected by sand, dirt or water. G Free Body means the 2500FI’s centre of gravity has been moved closer to the rod by positioning the worm shaft oscillation mechanism at the top of the reel body for less winding fatigue. As befitting a reel like this, to keep everything moving smoothly, it has 13 SA-RB bearings and an all-new design anti-reverse bearing, which generates less friction and lighter handle rotation. 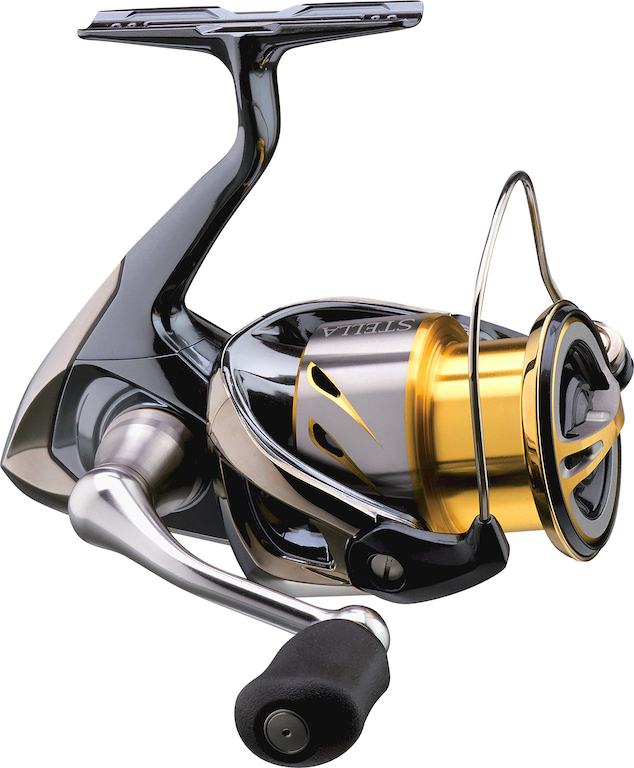 Additionally, there’s a Titanium Bail Arm, a larger, ergonomically shaped drag knob for adjusting the new Coil Wave Spring Drag, a longer spool shape for greater casting distance, a re-designed line clip for when the reel is not in use, and a sparkling 6.0:1 gear ratio. This is quite simply an unparalleled light line reel. The 2500FI is of an incredibly versatile size, finding a niche in a variety of fishing environments — alpine lakes and streams, stocked impoundments, estuaries, even light tackle work offshore, especially when spooled with fine diameter braided line like Power Pro.